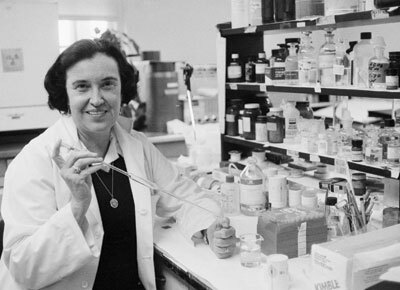 Rosalyn Yalow (‘nee’ Sussman, born 1921), Nobel Prize-winning American medical physicist. Yalow worked in nuclear medicine, following her special interest in radioisotopes. In the 1950s she worked with S. A. Berson at the Bronx Veterans Administration Hospital, New York, developing the method of radioimmunoassay (RIA). RIA detects and measures the presence of molecules by binding them to a radioactively- labelled counterpart (antibody). The technique can be used to find any substance for which an antibody can be produced, even those that were previously too small to detect, including hormones and enzymes. Yalow shared the 1977 Nobel Prize for Physiology or Medicine for this work.